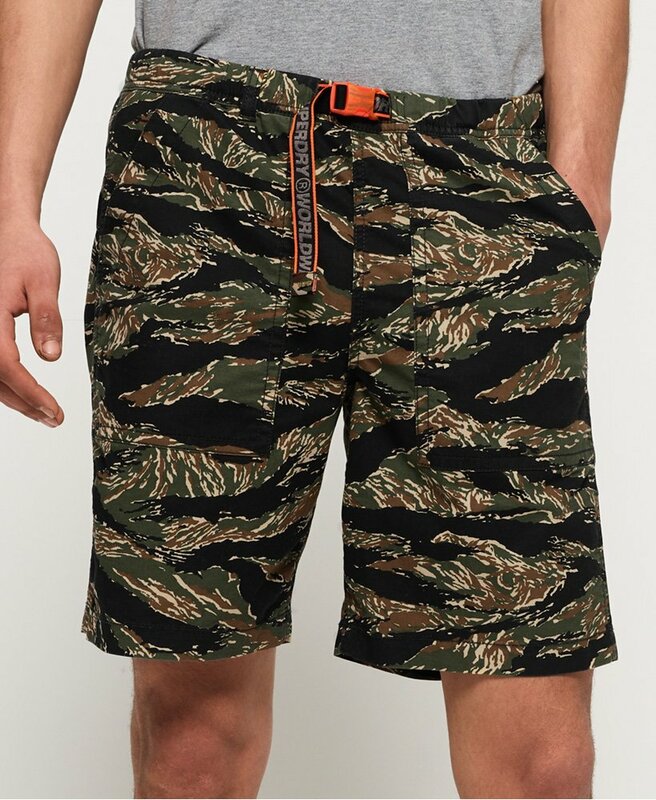 Superdry men's Vert shorts. An essential for your summer wardrobe these shorts feature two front open pockets, one back popper fastened pocket and an adjustable waist band with a clip fastening. Completed with a Superdry logo badge on the back pocket.